Do you know that getaways and weekends are the most appreciated gifts by couples for Valentine's Day? Get some inspiration from our travel ideas and make your partner happy with a gift that you're gonna remember for a very long time. We are less than a month away from February 14th, Valentine’s Day, when lovers are used to show their love for each other giving flowers, sweet messages, cards and gifts to prove their feelings. If you’re looking for a special gift, arrange something impressive: a romantic weekend out of town or a memorable holiday. We have chosen 11 delightful destinations for you and your beloved one to celebrate a unique Valentine’s Day. Paris, the city of elegance par excellence, is appreciated by lovers for being one of the most romantic destinations in the world that can give an unforgettable experience to people visiting it at Valentine’s Day.. In Paris, a couple have plenty of things to do. Today, we’d like to recommend two places in particular that you can’t miss during your romantic weekend in Paris. For example, you may climb the Eiffel Tower and, on top of it, exchange your promise of love sealing it with a romantic dinner at the 58 Tour Eiffel, the restaurant on the first floor of the tower: prices here can be expensive (starting from euro 140), but it could be one of those occasions for which it is worth to go overboard. Otherwise, we recommend a stroll among musicians and street artists, in Montmartre, one of the historic districts of Paris, up to the so-called Wall of I Love You (“Le mur des Je T’Aime” in French). 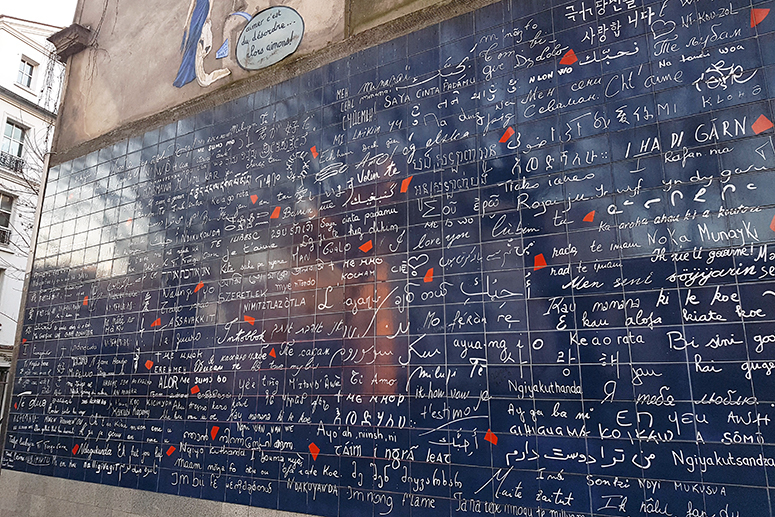 This work by artist Frédéric Baro, collects more than 300 “I Love You” in all languages, including dialects. For a couple it is definitely a very evocative place where to exchange a love promise accompanied by a tender kiss. If Paris is the most appropriate getaway for your Valentine’s day, you can have a look at our hotels in the French capital, where you will certainly find the accommodation that will make that weekend absolutely perfect. choose a hotel that is worthy of the occasion among our hotels in Paris. 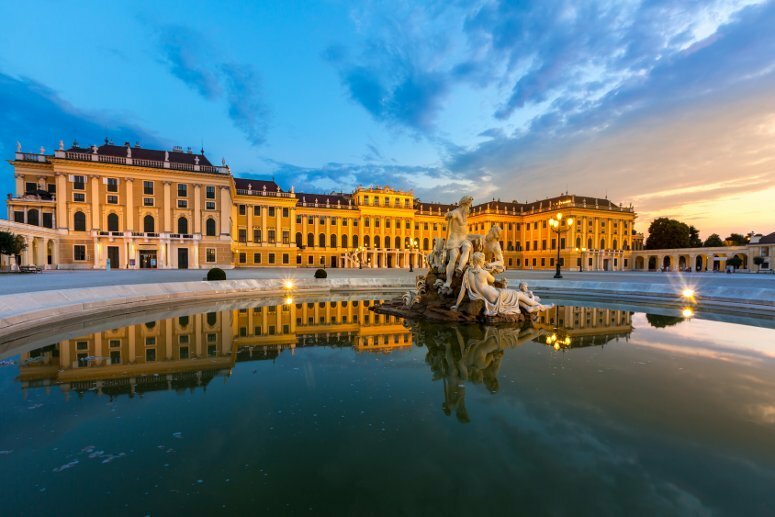 Like Paris, Vienna too is an elegant and sophisticated city that lovers often choose for a romantic trip. What about ice-skating hand in hand under the moonlight? The Wiener Eistraum ice rink is open on Valentine’s Day and it could be a great idea for a nice evening with your lover in the magnificent location of Rathausplatz. If you don’t like the idea of skating on ice, you can choose to spend a special evening in the relaxing Therme Wien. If you are going to spend Saint Valentine’s Day in Vienna, don’t forget to stop by in one of the delicious chocolate shops of the city. In the midst of candlelight dinners and lively events, St. Valentine’s celebrations in New York City are something special. 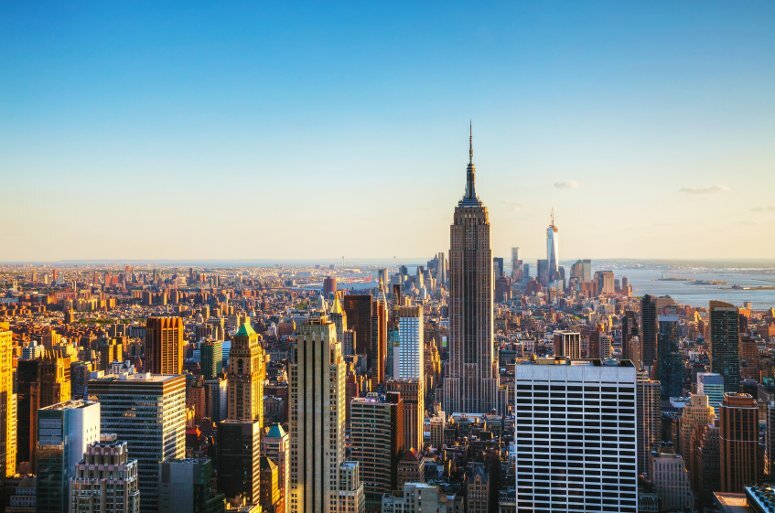 Couples who’d like to organise an unforgettable travel over Valentine’s Day will have the unique chance to kiss each other under the Empire State Building. If you are thinking of an original marriage proposal, try to get one of the big screens in Times Square, where it will appear the fantastic “Will you marry me?“. Exciting, isn’it? 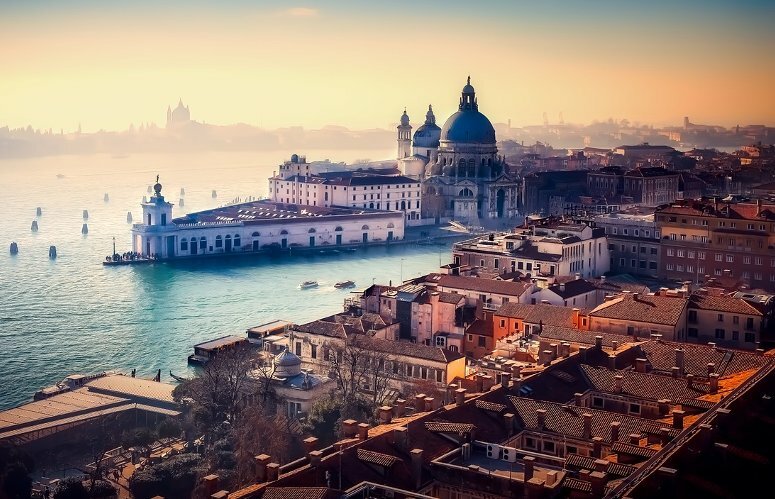 Venice is the city of love par excellence. Magnificent during the day, it gets even more surprising at night with its unique atmosphere. A gondola ride and a dinner by candlelight on a typical restaurant along the Grand Canal on St. Valentine’s Day would be like a dream coming true! 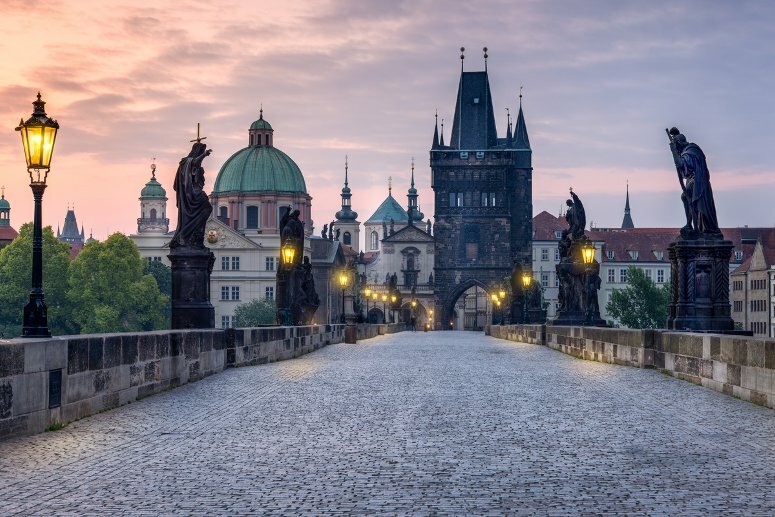 The charming capital of Czech Republic is another top destinations for couples who want to celebrate their Valentine’s Day in Europe. You only need to take a walk along its winding and narrow streets, amid its beautiful Gothic architectures: you will be not disappointed! If you want to enjoy a new experience, we strongly recommend a romantic cruise on the Moldova river at night, with dinner included: you will have the chance to see Prague from a privileged point of view. Then, you can keep on walking hand in hand up to Charles Bridge, and from there enjoy a magnificent view over Prague Castle. Don’t forget to take a picture! In the heart of the Czech town, you can find a wide range of ideal accommodation to live an unforgettable night. 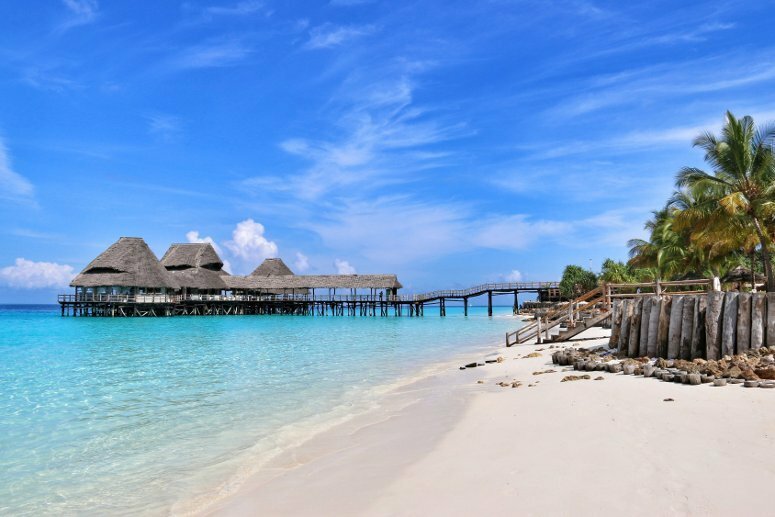 Zanzibar is one of the most famous archipelago in the Indian Ocean with its amazing sandy white beaches and crystal clear waters. If you are planning a Valentine’s Day getaway in Zanzibar, you’d better know that one of the first things you have to do once there is heading to the Nungwi Beach, whose beauty surpasses all imagination… Proof of the pudding! If you want to take an adventure in Tarzan style, you should visit the Jozani Chwaka Bay National Park, famous worldwide for its biodiversity. The numerous canals that wind through the streets of the city’s historic centre instill the perfect romantic feeling for Valentine’s Day! For a couple in love the most special moment is walking around the city lit by moonlight. If you want to make a surprise to your partner, a boat trip is the right choice. This perspective will give you glimpses inaccessible by normal walking. 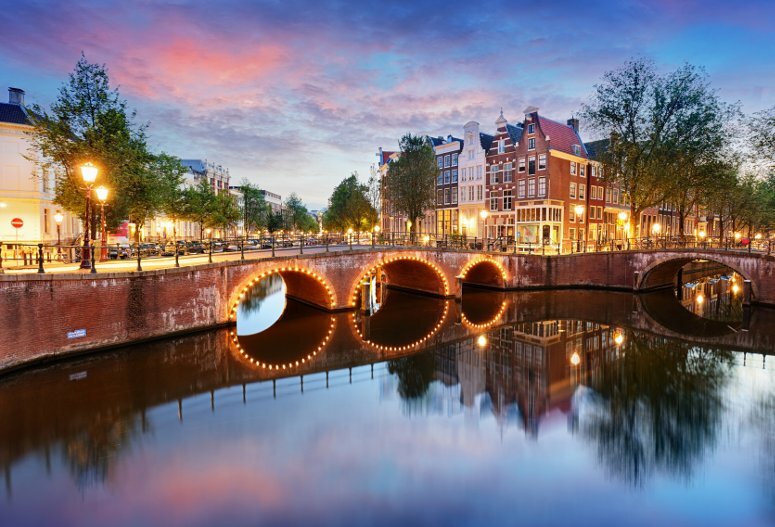 If you want to experience a special Valentine’s Day as a real Dutch, rent a bike and pedal throughout the beautiful parks of the city where you can give a memorable kiss to your lover. If you want to spend an oriental style Valentine’s Day, Tokyo will not disappoint couples looking for romance. According to the curious Japanese tradition, on this occasion women have to give chocolate to his partner or loved one. For the sweetest day of the year, Tokyo is ready to welcome the young couples with numerous initiatives. Firstly, we recommend a massage with chocolate, secondly, a dinner at the restaurant “Tepito”, where you can enjoy a fantastic fried chicken with chocolate sauce and chili. 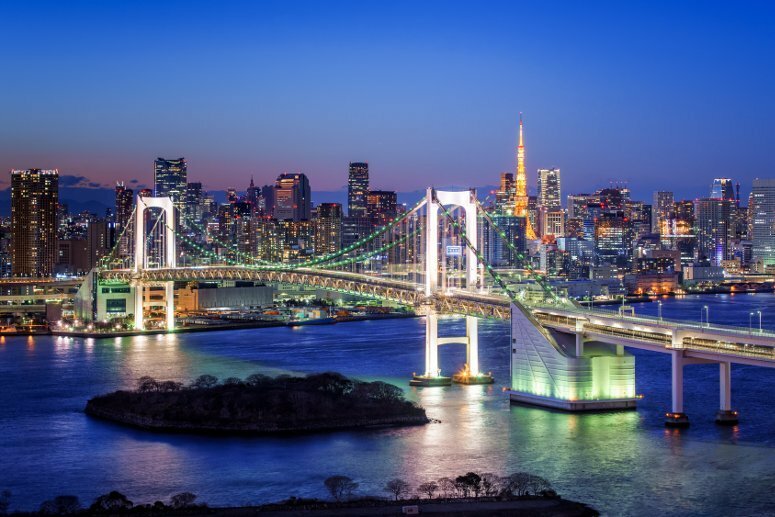 Last but not least, for your magnificent day dedicated to love, we recommend a visit to Shibuya, the most lively part of the city where are located many bars, clubs and discos. In short, if you want to organize a Valentine’s Day different from the usual, Tokyo will meet your expectations. If you rush, you might still find hotels at competitive prices! 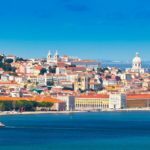 The best city in Italy for Valentine’s Day? 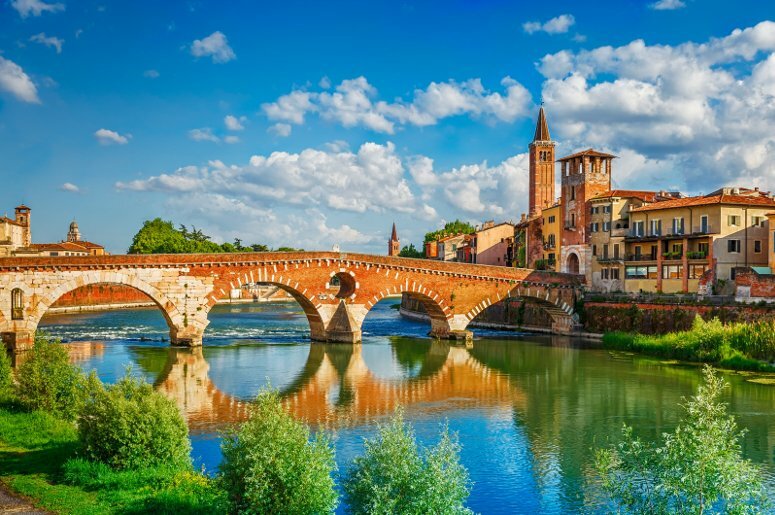 Verona, the city of Romeo and Juliet, of course. 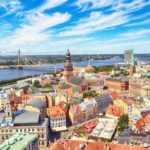 For the whole week of February 14, the city where was consumed the famous Shakespearean tragedy, will welcome all lovers with many tailored initiatives. Also this year, in Piazza Bra will be held Verona in Love. A visit that shouldn’t miss in your travel list is Juliet’s house and tomb: the entrance will be free for St. Valentine’s Day! Finally, you should climb the Torre dei Lamberti, where you can exchange a passionate kiss at 84 meters high in the historic centre of the city. What is more romantic than enjoying a magnificent sunset with your partner? Even better if the location is London and you are overlooking the city from the London Eye, the huge Ferris wheel on the River Thames. Otherwise, you could arrange a super cruise along the Thames under the moonlight and seize the chance to say a sincere “I Love You“. To make your Valentine’s Day absolutely perfect, you’d betetr have dinner on board, enjoying some music and live entertainment. 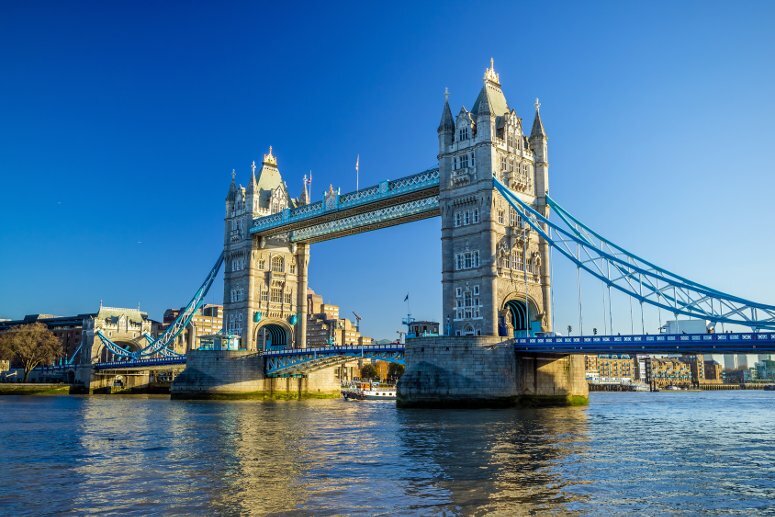 These boat tours offer a great alternative to discover London from a different perspective! To complete your weekend in London, we suggest some good central hotels, check them out on our special section about London. Another great idea for Valentine’s Day is a romantic escape to Maldives. If you want to celebrate your love in a special way, this heavenly archipelago in the Indian Ocean could be the best option and definitely a much appreciated gift for your partner. 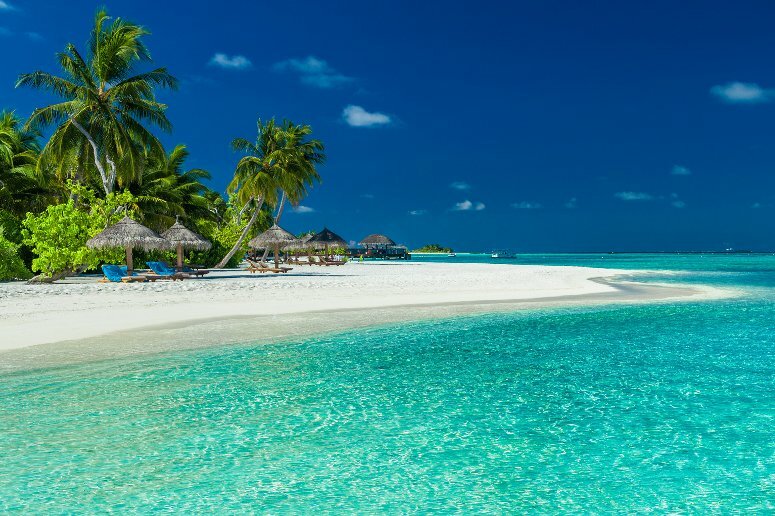 Maldives are a group of atolls and islands that you could discover scuba-diving together along their spectacular reefs, so colorful and full of marine life. Once there, you cannot miss a visit to the capital, Male, famous for its brightly-coloured buildings, mosques and markets. The main street of the city is Chandani Magu, where you can find lots of souvenir shops. Also, we recommend a romantic dinner by candlelight on the beach. To conclude, organizing a weekend or a travel for you and your partner on Valentine’s Day is a great way to strengthen your relationship and experience new emotions together. That’s the right attitude to celebrate this year Saint Valentine’s Day.